The Carbon steel. This steel requires only carbon to make a good alloy. Other alloys have a minimum requirement for materials like nickel, tungsten, chromium and a lot of other chemicals. Carbon steel ranges from the low-carbon to the ultra-high carbon with 1.0-2.0% content. Normally, the bigger the carbon contents, the more this alloy could be hardened, with an increase in strength, impact resistance and wear. The Stainless steel. That is the material out of which kitchen benches are produced. Also known as corrosion-resistant steel or inox steel (normally in the aviation), it is the alloy with a large quantity of chromium on average (a minimum of 11%-10.5%). Stainless steel will never rust, corrode or stain as easily as any ordinary steel it is a complete myth that it does never corrode. What sets the stainless steel and other kinds of steel alloy apart is the quantity of included chromium. The alloy chromium acts as a protection against rust that normally plagues the steel by making a layer of chromium oxide that is a barrier and does not allowing the corrosion to go from the surface into the insides. 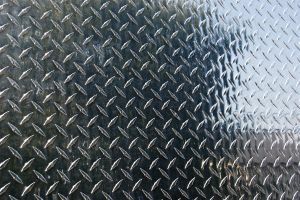 Its corrosion and stainign resistance make it the ideal material for commercial applications so naturally over 150 different varieties exist in its use, each having differing and specific properties. The Alloy steel. This Steel is alloyed using other elements to improve the mechanical properties. This mixture with other elements could be anywhere from one to fifty percent, dividing alloys in two camps: high alloy steels and low alloy steels. The commonest alloy steel i thes low alloy steel. These alloy steels are utilized to improve the corrosion resistance and harden-ability. Normally, a low-alloy steel would have less carbon, because the low non-carbon materials combined with a high carbon content will make it difficult for welders. Those are an array of alloys and steels, collectively grouped for their particular properties which make them perfect for use when making specific tools. These are normally resistant to corrosion and abrasion, are impact resistant, hard and are capable of rataining the cutting edge. There exist a number of differing levels of tool steel, every with some of the properties enhanced to use in this industry. Tool steels are utilized when creating moulds for the injection moulding, because they are capable of withstand the creation of hundreds of parts and not show signs of abrasion.